You may have already heard it through the grapevine that this August Bank Holiday is set to be unlike any other as The Printworks unveils its debut Manchester Soul Festival on Sunday 30th August. The first ever event of its kind, the Manchester Soul Festival brings together Motown and Soul musicians from all over the UK, to celebrate the iconic Northern Soul scene in aid of The Christie Hospital NHS Foundation Trust. The idea for the fundraiser transpired when Manchester DJ, Frank Byrne, a devotee to the Northern Soul scene for over thirty years, was sadly diagnosed with oesophagus cancer in October 2014. Frank started receiving chemotherapy treatment at The Christie, a specialist hospital in Withington, South Manchester and one of the largest cancer treatment centres in Europe. With over 30 artists, bands and DJs already confirmed to perform, the line up will include sets from soul favourites, The Casino Allstars, The Soul Amigos and Twisted Soul, to name a few. The all-day event kicks off at 2pm on Bank Holiday Sunday, with The Oldham Scottish Pipe Band parading through the Pump Yard. 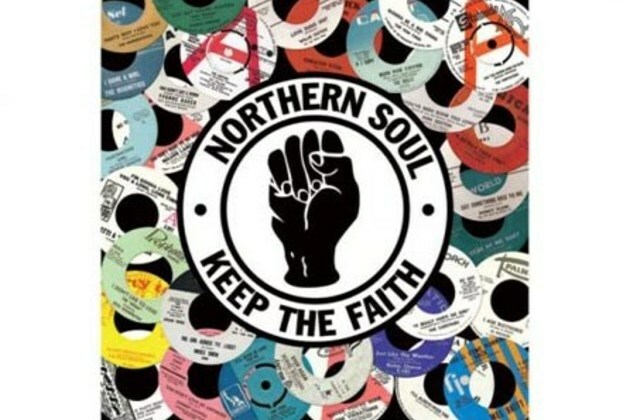 Revellers will be invited to purchase a wristband for £5, which will entitle them to special Manchester Soul Festival offers throughout the venues in The Printworks. Touched by the overwhelming support and care he received at the hospital, Frank felt inspired to give something back and set about to do this in the best way he knew how, through music. As a professional DJ for his entire career, Frank was ideally placed to get in touch with the best soul singers around and invite them to be part of The Printworks’ first ever Manchester Soul Festival. All proceeds from the wristband sales will be donated to The Christie and the event organisers hope to raise upwards of £10,000 for this fantastic specialist facility in South Manchester. Participating venues include Tiger Tiger with its specially designated Groovy Wonderland bar, The Hard Rock Cafe, and The Bierkeller, plus many more. Not just for the original mods of the movement, the event has something for everyone. Face painting will ensure the kids get in to the festival spirit, and a silent auction with a whole host of luxury prizes will be run as part of further fundraising efforts. Wristbands for Manchester Soul Festival are on sale now at www.justgiving.com/Manchester-Soul-Festival and over £5,800 has already been raised. For more information call 0161 829 8000 or email info@theprintworks.com.